The culturally soaked Saras Mela 2017, organised by Ministry of Rural Development is happening in Ludhiana from October 5th- 16th at Punjab Agricultural University. If you haven’t attended it till now , Gedhi Route lists 5 reasons as to why you should attend this Mela ASAP! Be it handicrafts, food, utensils, everything at the Saras Mela is laden with cultural diversity. Kashmiri Kahwa, Kerala’s specialty – Banana Chips, Iron Utensils from down south, Assamese bamboo handicrafts, Rajasthani clothes and crafts, Maharashtrian Snacks, you name and you have it all there, at the Mela! It’s bound to be an unmissable cultural blast with artistes and artisans from 25 different states participating in the fair. If you ever been to the Dilli Haat at INA, New Delhi you will experience a similar exhilaration when you spot the food stalls at Saras Mela. There’s a plethora of stalls with delicious food from different states. 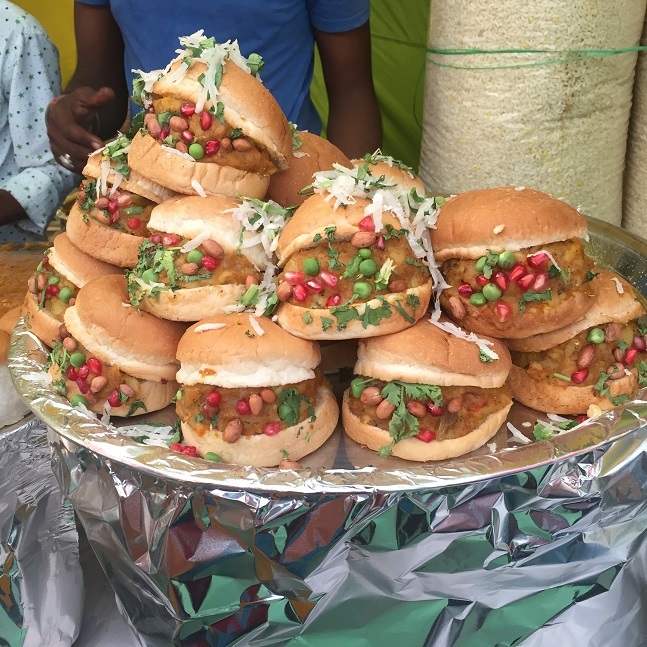 Do try Litti Chokha from Bihar, some freshly made Besan Chilla, Dabeli from our darling Mumbai. If you love Biryani, check out the Mughlai stall. For those of us who would want to stick to some videshi food, there’s Dominos, Pizza Hut, Verka and Ice cream stalls. Trust us, the Mela is huge, you would end up eating at half of the stalls if you spend a day there. The Mela has handicrafts from Assam, Elephant hair jewellery from Ramnagar district of Karnataka, Name on Rice accessories, Punjabi Juttis, Earthen Cookware from Karnal, Iron Utensils, Pattachitra which is basically an intricate artwork on a palm leaf from Odisha. The list is extremely long…. 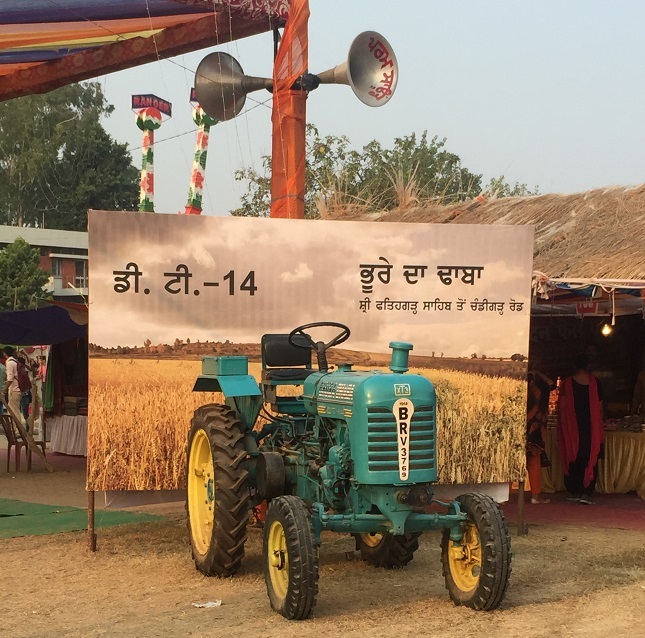 And we are at it, the Mela also has the vintage D-14 tractor. These tractors played a significant role in enhancing crop yield and ameliorating hunger during the Green Revolution . Diwali is just around the corner and what better to place to shop than the Mela. 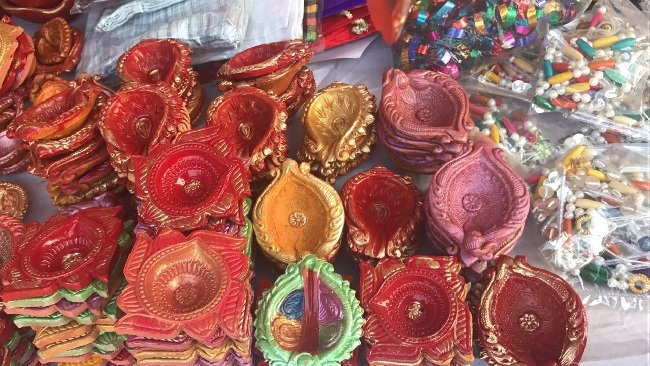 From gorgeously painted Diyas, flower arrangements, footwear, scarves, jewelry and other decorations, the Mela has everything (even Organic pickles) . 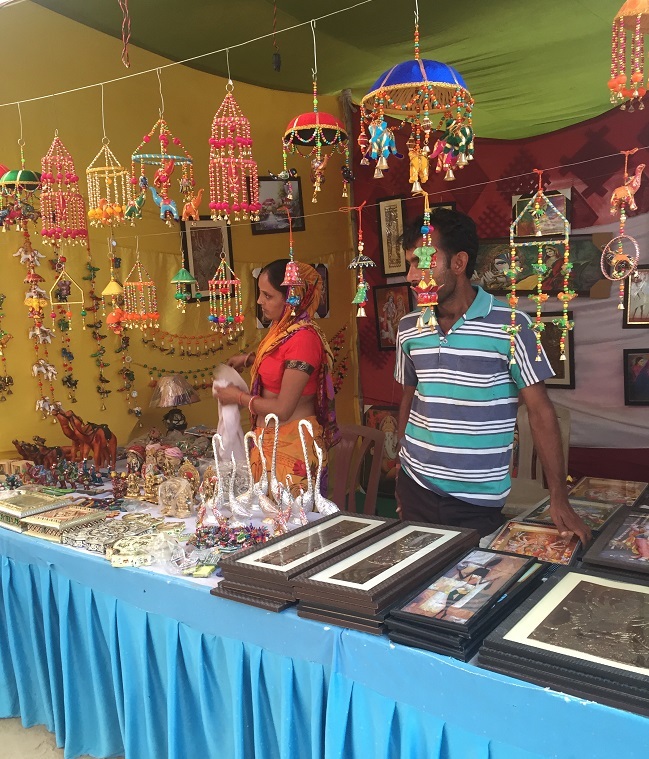 All you need is some time on your hands to visit and scour the Mela. The whole Mela feel takes you back to your childhood. Extremely spacious, the ground apart from all those aforementioned stalls hosts the whole Mela. There are stand alone artistes entertaining the kids with their antics, games, merry-go-round, rides for children (they have a whole section dedicated to it! ), traditional performances by artistes and musical entertainment. Phew! that was task, listing all those things in just 5 points. If you are wondering what to do this weekend, i Guess you have your answer now!